This Just In: New Books! This book was read by Charles Farrow, a Library Technician at the Main Campus Library. Sunday, March 12, 1944 at 11:00am. The Secret Game. In this book, Scott Ellsworth writes about a day and time in Durham, North Carolina during the Jim Crow era when two teams from opposite sides of the tracks–Duke and NC Central– ignored Jim Crow laws and decided to play a game that was never supposed to happen. It started out as a challenge, but ended up being more than just a game. I chose to read this book because of a conversation I had with my son about black athletes in the Hall of Fame from HBCUs and how the historically black colleges and universities that produced them have been overlooked in sports history. We also talked about the history of black athletes at places like the University of Alabama, Duke, and the University of North Carolina and when they were allowed to participate in various sports. I like this book because it brings to light that being an athlete is not just about playing a game. For some, it goes deeper than that. 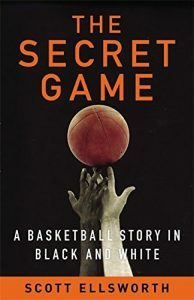 This book reveals a deeper truth that sports are not just about winning and losing. It shows that some of our greatest challenges are not from a physical opponent, but from our own system of beliefs instilled in us from childhood. I like this book because it reveals to the reader that sports transcends race, culture, nationalities and shows us how to overcome barriers and adversity by working together as a team and being a team player. I’d pair this book with an archaeological dig, since that’s how much work the author had to do in order to find out about and report about this game. Misty Copeland is the first African-American Principal Dancer for the American Ballet Theatre. 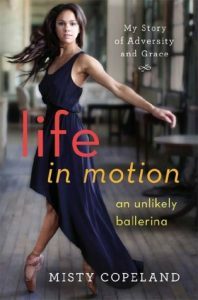 She started dancing at 13 years old, far older than most ballerinas, and overcame all kinds of adversity to become an amazing artist and role model.